James Lewis Tucker was born in 1984 in Red Bank, NJ. As a child he split his time between collecting seashells from the shore and exploring the brooks of his grandparent’s Christmas tree farm. James opened The Aesthetic Union, his letterpress shop and design studio, in 2013 and together with his small team has worked closely with both large and small companies to create traditional printed matter using contemporary techniques. His art practice is woven into the framework and production schedules of the shop’s presses. He produces limited edition prints that investigate both traditional landscape prints inspired by the California Coast as well as minimalist, experimental mono prints. His work has been shown in major galleries and is housed in permanent collections. 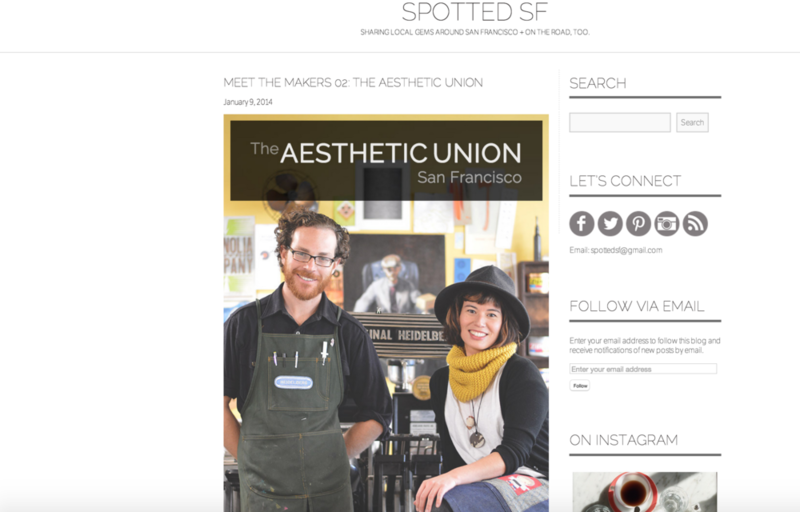 James is passionate about keeping the tradition of letterpress alive while also utilizing modern processes which has helped The Aesthetic Union remain a hub for art, craft and design within a shrinking community of creatives in San Francisco. William moved to the SF Bay Area in 1986 and has been involved in the commercial printing trade as a press operator ever since. Much of his time was spent producing wine & spirit labels in the Napa Valley. He is also a professional watchmaker, an amateur photographer and an avid musician. After surviving the dotcom boom and bust of the late 1990's, Daniel received his degree in Graphic Design and has worked in the print industry ever since. An early member of a now defunct (or is it....?) (no really, it is) secret society (read: cult), he still occasionally covertly installs art in public spaces, sometimes sneaks (read: trespasses) onto military Superfund sites and abandoned movie theaters, and regularly self-publishes (and gives away for free) a zine called Frequenzine that he gestates, writes, and produces all in one sitting with his art and writing co-conspirator, who used to go by the name Frances Natt McGill back in their cult days. If you can snowboard better than he can (proof required), he'll give you $20 or babysit your kid for 20 minutes. At a bar.